The foreign properties that have been attached include a cottage and house in Somerset in the UK worth Rs 8.67 crore (which is registered in the name of consultancy firm ASCPL) and a tennis club in Barcelona, Spain valued at Rs 14.57 crore. Apart from these foreign properties, agricultural land in Kodaikanal, Tamil Nadu (worth Rs 5 lakh), two bungalows in Ooty (worth Rs 4.25 crore), and land and properties in the posh Jorbagh colony in Delhi valued at over Rs 16 crore have been attached. "We will challenge the bizarre and outlandish provisional attachment order which is not based on law or facts but on crazy conjectures. The attachment is meant only to grab headlines. The order will not withstand judicial scrutiny, review or appeal and I will approach the appropriate legal forum," Karti told India Today. A statement issued by Karti's advocate said the ED order is ex parte and based on the alleged transactions of companies of which my client, Karti P Chidamabarm, is neither a shareholder nor a director. 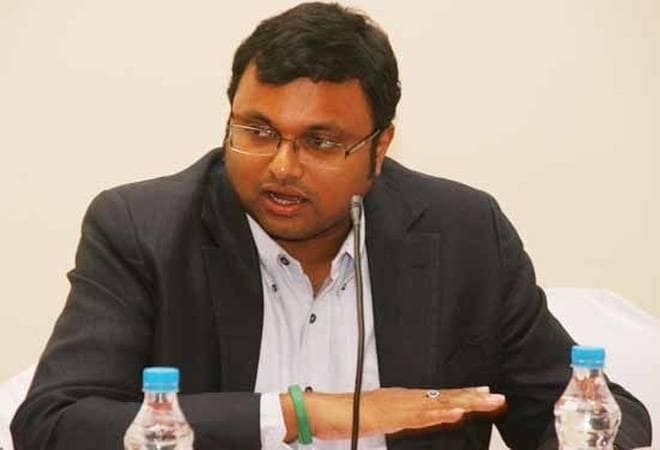 The attachment order will be contested by my client Karti P Chidambaram, it said. The ED also ordered attachment of fixed deposits worth Rs 90 lakh, kept in a Chennai bank, in the name of Advantage Strategic Consulting Private Limited (ASCPL). The assets are in the name of Karti and ASCPL, the firm allegedly linked to him, the agency said. The attached assets collectively amount to Rs 54 crore, the ED statement said. Investigation conducted so far shows that for FIPB approval, Peter and Indrani Mukerjea met the then Finance Minister P Chidambaram so that there was no delay in their application. P Chidambaram asked for his son's business interests to be kept in mind. ED identified payments of Rs 3.09 crore by Peter Mukerjea to ASCPL and associatedentities controlled by Karti P Chidambaram through manipulated debit notes.